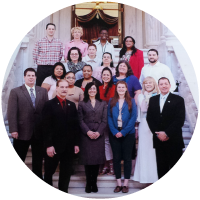 Beyond transforming lives through our arts, entrepreneurship and education programs, Riverzedge Arts is deeply engaged in transforming the city of Woonsocket itself. Using the arts and creative industries as a platform, we are a driving force behind many of the city’s placemaking and economic development initiatives. The need in Woonsocket is great. 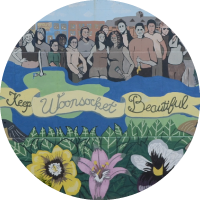 Once a thriving, industrial hub, Woonsocket today is one of the most challenged cities in New England. 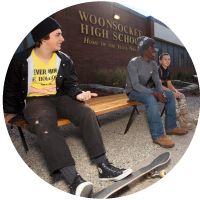 But Riverzedge Arts believes that the people of Woonsocket—especially the young people—can build a future that makes the city a model for urban transformation. 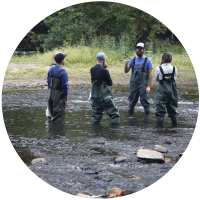 Having worked with the city government on a number of small, arts-based projects, in 2010 Riverzedge joined with the city’s planning department and other community groups in the Main Street-Riverfront Initiative, an ambitious project to reconnect the Main Street corridor with the city’s single greatest placemaking asset: the Blackstone River. 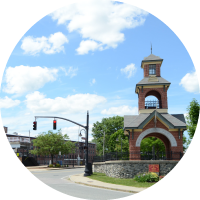 Our belief was that by restoring access to the riverfront that defines the city center, downtown Woonsocket could become an attractive destination for local residents and others in the wider region. In helping to create MSRI’s Wayfinding Master Plan, Riverzedge Arts did something unique in the experience of world-renowned placemaking consultants Vanasse-Hangin-Brustlin (VHB): we let our youth participant play a key role developing the wayfinding concepts. Because no one knows the city better than the car-less youth who must walk, bicycle or use public transportation, our youth charettes generated unique insights and truly brilliant ideas. Their impact on the Master Plan profound. 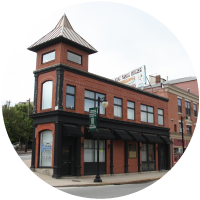 Building on this success, we next helped a similar coalition develop Woonsocket’s Main Street Livability Plan. This effort seeks to identify ways to improve the city’s central corridor and restore this once-vibrant commercial district. Again, we held charettes for our youth participants, and again they delivered results. Today, Riverzedge Arts is working with these same partners to develop an asset map and database of Woonsockets arts-based professionals, companies, organizations and venues. Through surveys and interviews, this project seeks to define strengths on which the city can build and to identify gaps that the city must work to close in order to attract artists and other creative professionals.